startGBC presents: The Fundamentals, our NEW workshop series that will be covering the basics every entrepreneur needs to know. 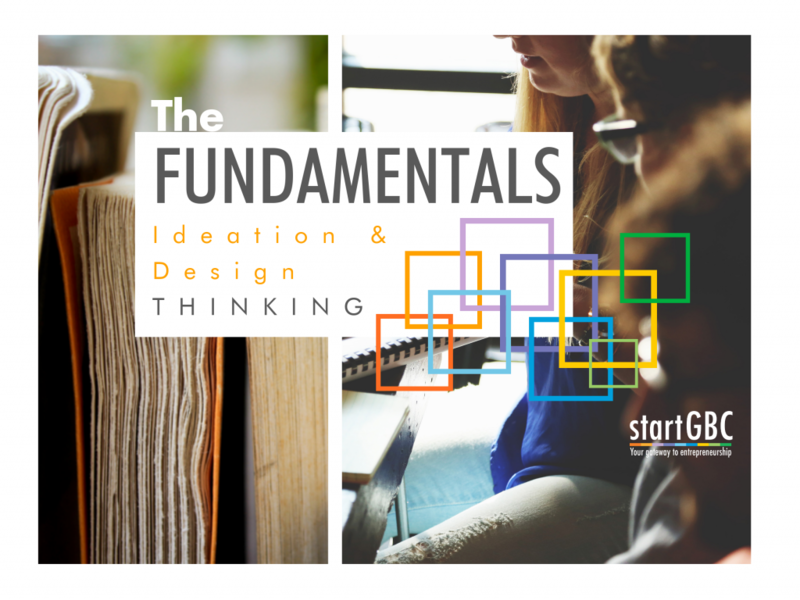 In this workshop, we will be covering Ideation and Design Thinking. Everything always starts with an idea. In this workshop, we will work through how to brainstorm and develop ideas that will help you create innovative solutions. We will then walk through the design thinking process to learn how to better refine our ideas and solutions by focusing on customer research, problem-solving and prototyping. This workshop will be interactive so please be prepared to participate.